Do you know the first names of the people in the photograph? 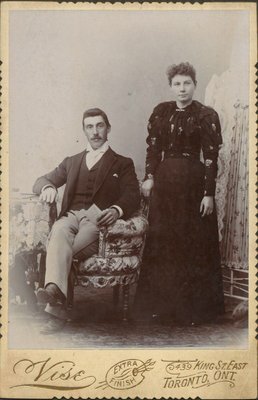 A photograph of Mr. and Mrs. Jackson. Vise Studio was operating photography business in Toronto in 1900-1902. Back side: written by pencil "Mother from Richard"